We spend so much time sleeping in our lives that picking out the right mattress is so important. Our quality of sleep really affects the rest of our day. 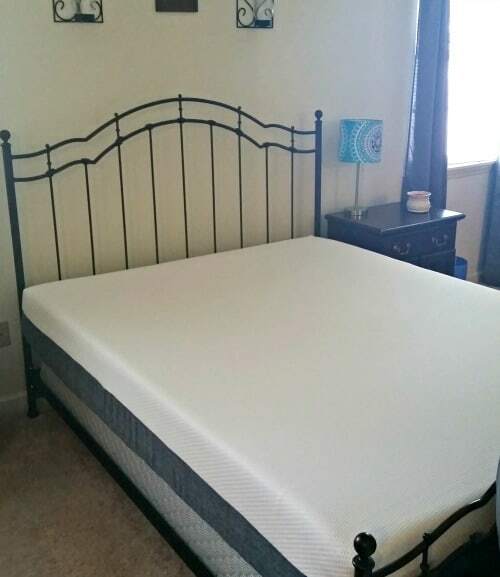 I wanted to give you an honest Qomfort Mattress review of my experience so you can see if it may be an option for you. I have had the same mattress since I was 16 years old, I know it’s gross. I did have a pillow top cover on it but it still wasn’t great. I was in dire need of a new mattress. Luckily, Qomfort mattress came to my rescue. They sent me their queen mattress to try out. 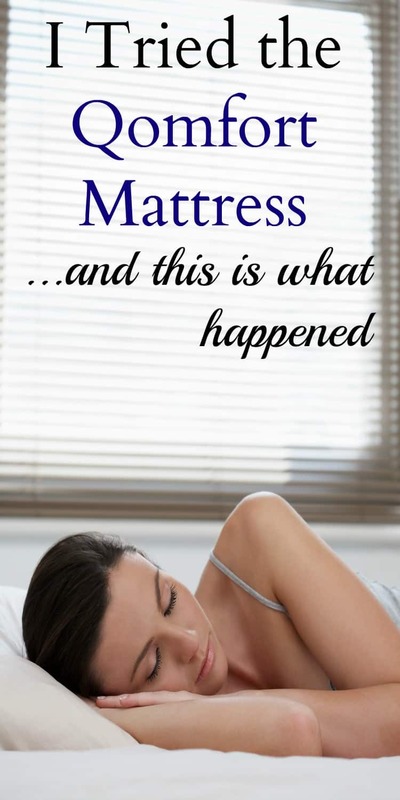 I had actually looked into several of the online mattress companies out there but this is the one I kept coming back to. Pretty much all of the reviews on their site are 4 and 5 stars. Not to mention they are the most affordable option for a quality mattress. I did some comparison shopping, and they are on average $300-$400 cheaper than the other online mattress companies. We took it out of the box and made sure to put it directly on our box spring before we opened the plastic wrapping. This just makes it a lot easier to unroll. 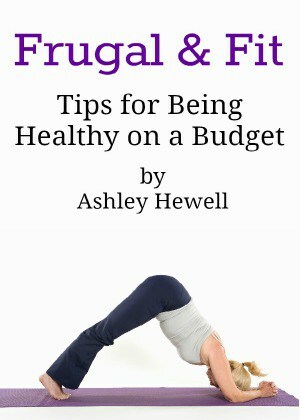 You can put the mattress on a box spring, the floor, on an adjustable frame, whatever you have. After taking off the two layers of plastic wrap, we unrolled the mattress and it immediately began to expand. I did let it sit for the whole day so that it could fully expand and air out some of the plastic smell. I have been sleeping on my Qomfort mattress for over 2 weeks now and I really do sleep so much better. The mattress has an open-cell layer that helps pull heat away from your body. I never wake up hot anymore. But it also isn’t cold like some memory mattresses are, either. I have noticed that the back pain I had when I first woke up is gone. The mattress has a medium-firm firmness and it is super comfortable. When my fiance first laid down on the mattress, I heard him yell out, ” Oh my God, this is so amazing!” He is serious about being comfortable! I really haven’t slept so well in years as I have these past couple of weeks. I don’t wake up in the middle of the night from tossing and turning. I feel more refreshed, which is important to keep up with a toddler all day. I love that it comes with a removable cover so that I can easily wash it if it gets dirty, which is also important with a toddler around! 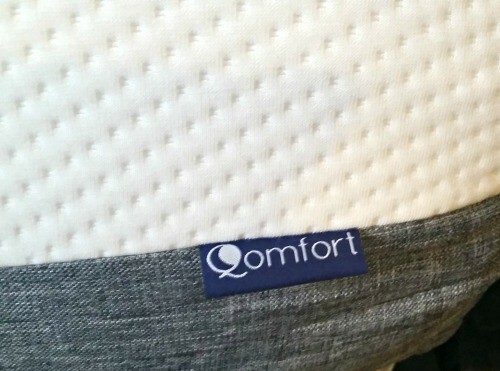 The Qomfort mattress really went above my expectations and I can’t recommend it enough. It is one of the most affordable mattresses I have come across and it actually is high quality. 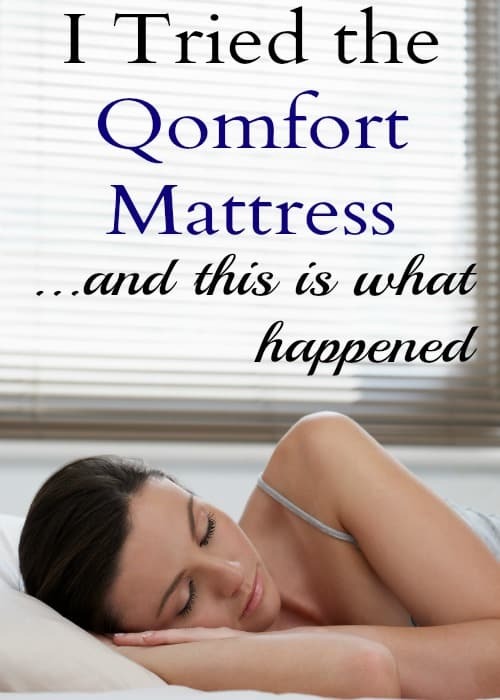 If you want to try the Qomfort mattress in your home, you really don’t have anything to lose. They offer a free 100 night trial so that you can see how amazing it is for yourself. If you don’t like it, you can always ship it back to them for free! The Qomfort mattress also comes with a 10 year warranty so you know that it is going to last. 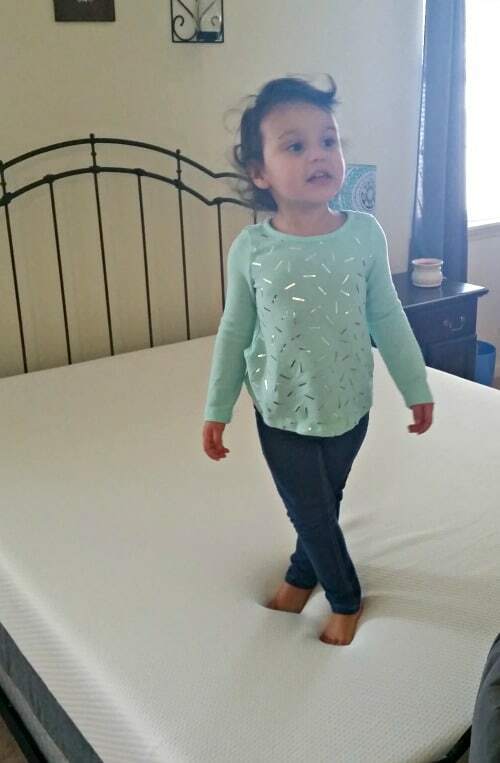 You really will get your money’s worth out of this mattress. I just love our mattress and we are actually thinking about buying one for the guest room as well. If you are looking for a quality mattress that can fit your budget, you really have to look into trying a Qomfort mattress.